The dbx 530's overlapping bands each offer control of frequency bandwidth (Q) and up to 15dB of reciprocal cut or boost to provide exact, complimentary filter action for the most demanding of equalization needs. For problem situations requiring the removal of spurious signals, each of the bands can be independently switched into “infinite notch” mode without affecting the operation of others. In situations where a shelving equalizer will produce better results than a peaking one, the 530’s high and low bands can be independently switched from peaking to shelving operation. You can also make instant affected/bypassed comparisons using the 530's “On” switch. 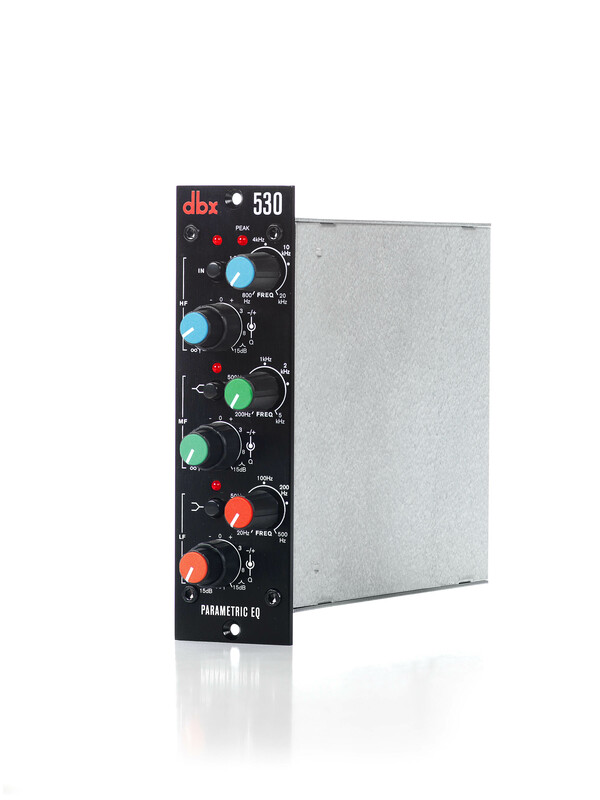 Load up your 500 Series rack with dbx 530 Parametric EQs­­ and cut your way through mixes like an audio surgeon!